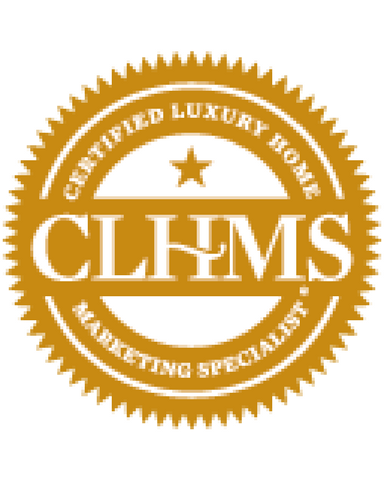 At Welch Team, we’re staunch believers in the growth and possibilities that come from continued education and training, so we’ve recently expanded our Real Estate reach as new members of The Institute for Luxury Home Marketing. Team Leader, Christina Welch, completed training to understand the lifestyle and demographic trends of the luxury community, and studied innovative methods for creating a strategic marketing plan. We’re pleased to say that she has earned Welch Team a certification specific to the luxury market (pictured left) and we can’t wait to showcase our renewed skills! Because first impressions are always the most important, we want to make sure to showcase the space in the best light (literally and figuratively). Welch Team provides a stager, cleaners, and a professional photographer (for photos and videos) to ensure your best foot is forward. One of our favorite outcomes of this process is the creation of a 3D Tour, which essentially acts as a 24/7 Open House. Buyers are able to explore the home from any angle they choose, instead of being limited to only snippets of a few good features. Though it’s convenient to virtually tour a home, the true experience comes from physically exploring a space. So Welch Team plans and executes a Broker’s Open: inviting the top industry professionals, and provides refreshments and appetizers to create a pleasant atmosphere for attendees. We order custom-made postcards that are mailed to a wide radius around the property so that more people become aware of your recent listing. Custom gatefolds are also ordered and placed in your home so that prospective buyers have some literature to take with them to keep your listing in mind. Welch Team has access to the most efficient online tools and resources in Real Estate, and because 95-98% of buyers begin their home search online, we’ll create a strong online appeal to attract these individuals. To offer a more personal approach, we also regularly update followers on social networking outlets. But in order to get the best online response for a listing, we use a method known as Target Marketing (via Facebook and Instagram) to create ads that hone in on the individuals most likely to purchase your luxury home. On a similar note, 61% of all Real Estate traffic is done mobily, so we make certain to utilize mobile friendly websites and apps that are easily navigable. Welch Team adds a unique advantage to the closing process by providing dedicated coordinators who work solely to complete a smooth and thorough transaction. They understand how important it is to remove you from the stresses of closing, so you can feel confident knowing that they run a step-by-step process to insure every detail is handled. Our staff is also adamant about upholding an open line of communication, including continual updates, so you will always be aware of any progress throughout the time of your closing. The benefit of working with Welch Team lies in our combined 10+ years of experience in the Real Estate market, and unparalleled guidance throughout your home selling and buying processes. With a proven track record for home sales, we have earned the title of #1 Team in Northeast Florida by Units Sold. And as a referral based business, there is certainty in knowing that our past customers stand behind our efforts and recommend us to their own friends, family, and co-workers. Through our expertise in Real Estate, Welch Team is committed to helping our neighbors, and each other, reach personal and professional goals as a community.